Posted on August 28, 2018 by Kelly M.
Education is at the heart of Mass Audubon and Drumlin Farm’s mission to protect the nature of Massachusetts and inspire the next generation. Unique in its position as both a working farm and a wildlife sanctuary, Drumlin Farm has delivered environmental education programs to hundreds of thousands of elementary, middle, and high school students in Massachusetts. Our teacher naturalists work with students to help them develop an appreciation for native plants and animals and their habitats, as well as the relationships of these ecological communities to our agricultural practices. Now that summer camp season is over, it’s time to get back to school and apply that love for the outdoors and natural life to the classroom. Drumlin Farm’s Outreach Program brings our teacher naturalists to your school classroom, or guided exploration of your schoolyard or natural areas nearby. Programs may include bringing native wildlife into the classroom or guided exploration of nature areas near your school. Keeping a class’s attention is a breeze when there’s a broad-winged hawk on the presenter’s arm! Our on-site programs offer opportunities to investigate the ecology of New England habitats and the adaptations of animals and plants that live here. During guided explorations of Drumlin Farm’s forests, wetlands, and fields, students ask questions, investigate, collect data, and share conclusions. 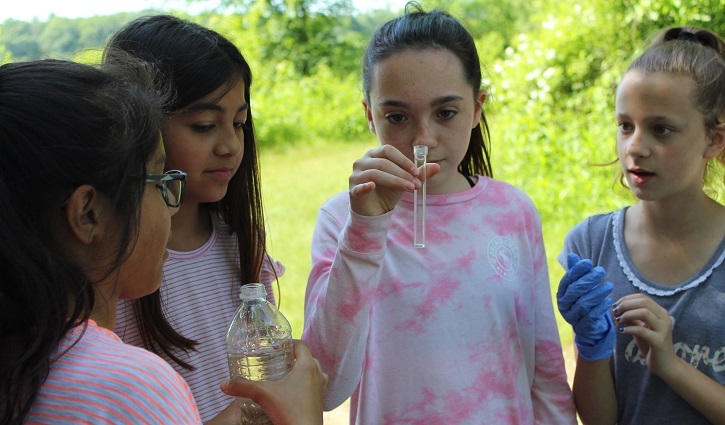 While students are out exploring, they have opportunities to use scientific tools, make observations, and experience real science in the field. Maybe back-to-school for you means back to the home classroom. We coordinate customizable Homeschool Programs for our local homeschoolers to encourage children to interact with the environment through nature exploration and science-based learning, as well as with each other through group building and games. End the school day with dynamic and inquiry-based engagement at our afterschool enrichment experiences. Students learn about field science, local habitats, and wildlife. 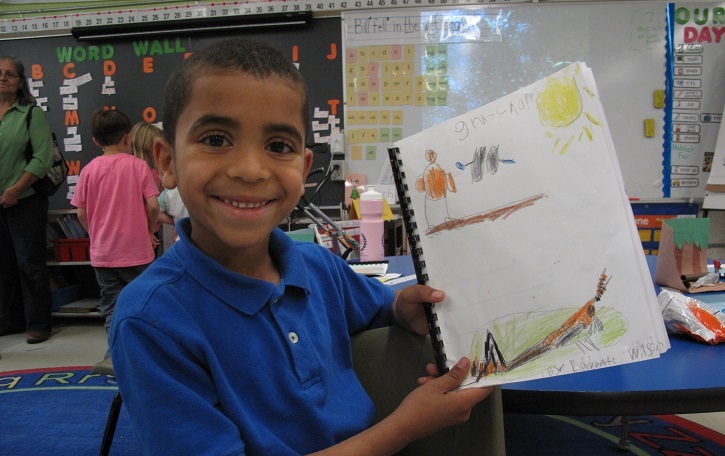 Individual and series programs are available and may include nature-based crafts, games, literature, storytelling, journaling, and other activities. Students won’t want to leave school when ending with these fun activities! 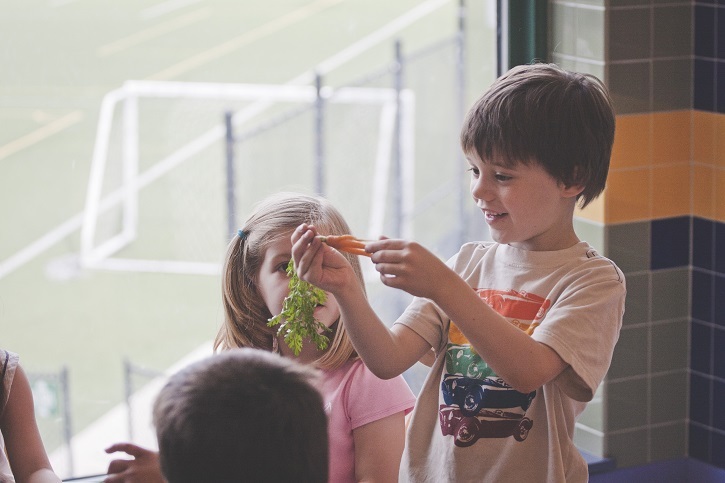 Our 4-H Programs also provides an opportunity for kids to become more healthy, connected, balanced, and empowered through hands-on activities with farm and nature themes. 4-H participants practice public speaking, participate in service projects, and cook healthy snacks with farm fresh ingredients. Drumlin Farm offers professional development opportunities for teachers at your site and at our wildlife sanctuary. Workshops are designed to give teachers the tools they need in the classroom to create and lead their own inspiring lessons. In our workshops, we use local habitats and native species to explore ecological principals, cross-cutting science concepts, and core earth and life science ideas, as well as how to teach these lessons in the classroom through a hands-on, and inquiry driven approach. 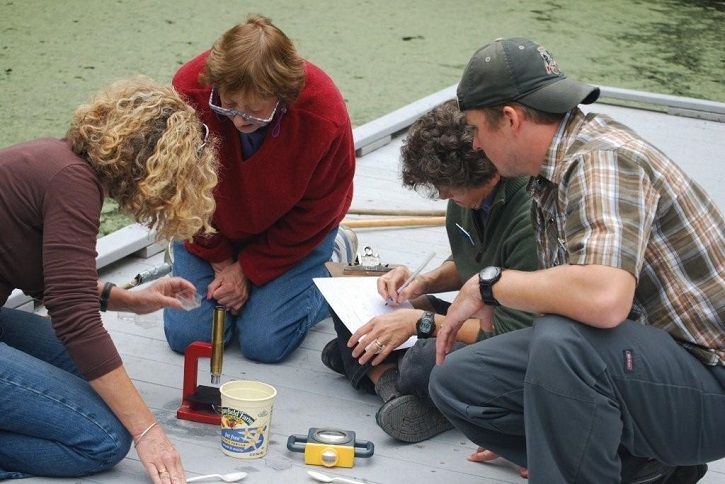 We are a DOE-approved PDP provider and offer year-round science education courses to classroom teachers. We invite you to get involved and join the best part of back-to-school. Balance out the homework loads with hands-on experiences in the settings student learn about in science class. The 2018-19 school year is gearing up to be the best year yet with Drumlin Farm! This entry was posted in Education and tagged classroom, drumlin farm visit, nature education, outdoors education, Professional development, school on August 28, 2018 by Kelly M..